As the market continues to tumble (and mining profits have dwindled), Bitcoin’s mining difficulty dropped by its largest percentile in seven years — the second largest downward correction in the cryptocurrency’s lifetime. The last time bitcoin experienced an adjustment on par with this recent one was on October 16, 2011, when it dropped 13.1 percent. Just over two weeks later, the network would experience its most significant difficulty decrease, falling by 18 percent on November 1, 2011. Now, on December 3, 2018, the network’s mining difficulty has fallen by 15.1 percent as mining profitability has waned in response to struggling prices. Since bitcoin plummeted from its months-long support at $6,000, community buzz has centered on anxieties of bitcoin’s mining profitability. If the price drops too low, the worry goes, then miners will stop mining, the network will struggle and things will only get worse. Designated for every 2,016 blocks, Bitcoin’s difficulty adjustment is the network’s self-correcting mechanism to ensure that miners can continue to find hashes below a specific target (i.e., that they can continue to produce hashes and find blocks fast enough without expending too much energy). If too many miners shut off their hardware, then the network will lower mining difficulty to compensate for the loss in hash power and decrease competition (in the inverse, if more miners join the network, then the difficulty will rise). 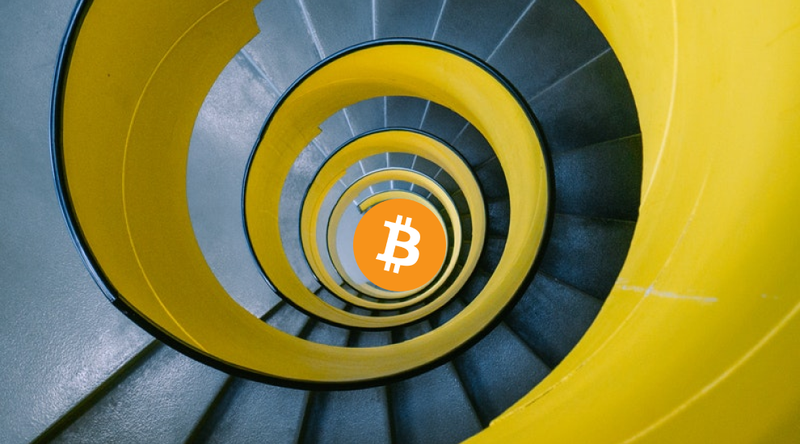 The downward correction in bitcoin’s mining difficulty is the expected byproduct of a worsening bear market that has forced miners to put their hardware into hibernation. As prices drop, mining bitcoin becomes less profitable as block rewards and fees don’t make up for electricity costs. Still, if mining is unprofitable after a difficulty adjustment, the network would almost certainly not grind to a halt. For example, transaction fees might be enough to tide them over in between adjustments, especially if fees rise in response to the network having fewer miners and slower block times. Even if that doesn’t provide sufficient incentive, users could employ an emergency hard fork to re-target the difficulty, though the conditions that would merit taking this extreme measure are highly unlikely. Before today’s difficulty adjustment, the recent market downturn called mining profitability (and by proxy, bitcoin’s future) in to question. Mainstream outlets have even heralded bitcoin’s untimely demise in the past week or so. Market Watch, for instance, published an op-ed saying that “Bitcoin is close to dead” and that no difficulty adjustment can save it. But the difficulty adjustment was designed specifically with times of network and market hardship in mind (or, on the flip side, when the network is bloated with too much competition). The feature hedges against the market factors that are forcing miners to shutter their rigs, hence why the difficulty has adjusted so far downward in light of bitcoin’s worst performing November in history. The size of the adjustment is by no means surprising, but it is a salient reminder that the network is dynamic and Satoshi built it to withstand extreme downturns. So, with this adjustment complete, perhaps the taps and casket for bitcoin’s lowering can wait.